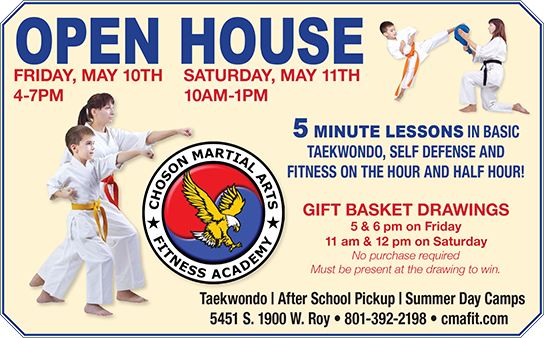 Choson Martial Arts Taekwondo, After School and Summer Camp Programs are amazing! Choson Martial Arts is dedicated to the success of our students. Our martial arts program focuses on teaching Taekwondo mixed with Karate. With our dynamic and family focused school environment our students will learn how to defend themselves and get in the best shape of their life. We recognize that classes can get repetitive. At Choson Martial Arts we like to mix things up to keep things interesting. We also learn Kick Boxing and Haidong Gumdo (swordmanship). Not only do we at Choson Martial Arts want our students to succeed in our martial arts classes but we aim to help them set goals to improve in their academics, attitude towards others and learning to communicate with others. Discover our unique, life-changing kids martial arts program that doesn't just teach punches and kicks, but gives children the skills they can use for a great life. We offer classes in Taekwondo, Kickboxing, Haidong Gumdo and Bo Staff. Choson Martial Arts action-packed summer camps for kids that teaches self-defense and help them keep up with their studies over the summer. lets them let loose and have a great time. Our classes builds confidence, discipline, focus and more. Kids love camp because it's fun. Parents love it because it helps their children learn & grow. Give your child the time of their life with a party they'll rave about for months later. Plus, you get to relax! We've got all the heavy lifting covered. Choson Martial Arts class schedule. See what we are doing each week with all of our fun martial arts, taekwondo and kids night out activities. We started our 2 boys going the Choson Martial Arts summer day camp. It was such a great experience for them. they really enjoyed the activities and learning new things. They liked it so much we kept going. We really like the variety that they offer with Taekwondo, kickboxing, and swordsmanship. The teachers are very good with all the kids. My son started in the Choson Martial Arts summer program. He really enjoyed it and wanted to continue. This martial arts program has boosted his self-esteem and he looks forward to going and learning new skills. It is also great exercise for him. All of the instructors are amazing. Master Jason has a great martial arts program and is an amazing leader for the kids to follow. My son is excelling and is already an orange belt. I'm a proud momma. Great training, good atmosphere that's strongly grounded in letting the kids learn the teaching of martial arts beyond combat. Only reason I stopped going was work and location took me too far away from fitting it in the rest of my priorities. Always would love to make my way back to the school. Jason is a very patient and experienced instructor, and if you show the commitment he'll return the training to you and accommodations. First let me say that Choson Martial Arts is a totally AWESOME school! We had our friends the William's tell us they moved their children from their "other school" to Choson Martial Arts and they encouraged us to come check out the school. The instructors: Masters' Craig, and especially Master Jason transformed my kids into skilled martial artists. I can only say you should stop looking at other schools and study with Choson Martial Arts Academy!